When my husband and I first started traveling with our children, and later as I traveled alone with them, we never really picked out a place based on how “kid friendly” it was. My three children all took their first international trips before the age of 2 years old, and since we were living in Europe when they were all under the age of 5 years old, they went to several different countries at very young ages. At first, they were just along for the ride. We went to places that we wanted to see, and then just found something cool for them to do once we got there. What we found during those toddler years was that the kids just want to be like us. If we’re excited about something, they are too. It’s all about how you present the activity. Amidst our hit and miss journeys with the kids, I chose to highlight 5 of the city vacations we took as a family that stood out the most for being enjoyed equally by parents and kids. 1. Budapest, Hungary. I’m putting this charming capital city right at #1! It earns its spot not just because we enjoyed our time there so much, but because we didn’t have enough time to see everything the city has to offer and I long to go back. We visited in January, so our winter experience will be a little different from a trip in the summer. We chose to do the Hop-On-Hop off tour that left from a park across the street from our hotel (Le Méridien Budapest). At the time of travel our two boys were 2 and 3 1/2 years old. They got a big kick out of the large bus and listening to the headphones. Highlights of the trip included: Buda Castle and the Fisherman’s Bastion, the Hungarian Parliament Building, the Szechenyi Baths, and the Városliget (the main “City Park”). The Városliget has so much to offer families – both the zoo and circus are located here – but we did not make it to visit either of them on our 3 day trip. 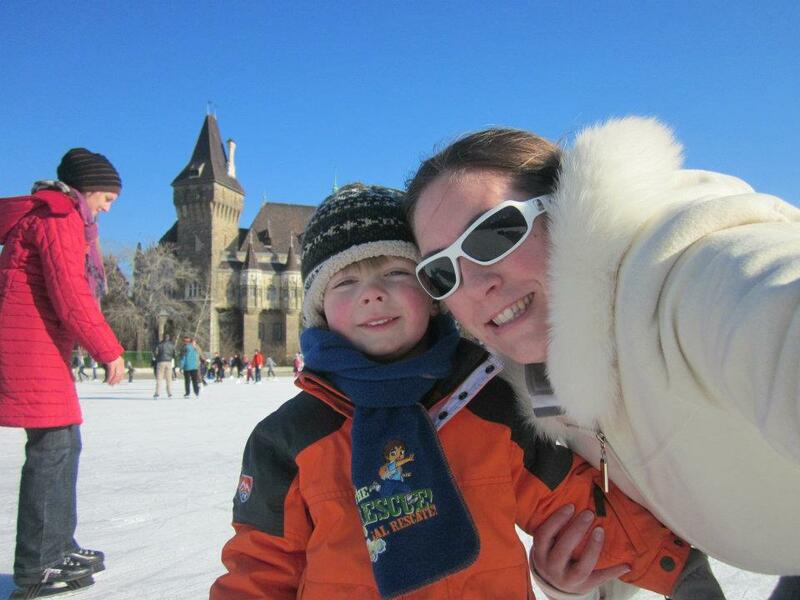 Since we were there in the winter, we were able to ice skate outdoors on the lake in the Városliget. It was a magical setting with the beautiful Castle Vajdahunyad in the background. Our dining highlight was at the New York Cafe. It’s as glamorous inside as any palace in Europe. 2. Paris, France. I know, typical tourist you’ll say. But who can resist the city of lights. There’s a reason our travels have taken us back there time after time. There is always more to see, and yet I often end up back at some of my favorite 3 or 4 spots each time. 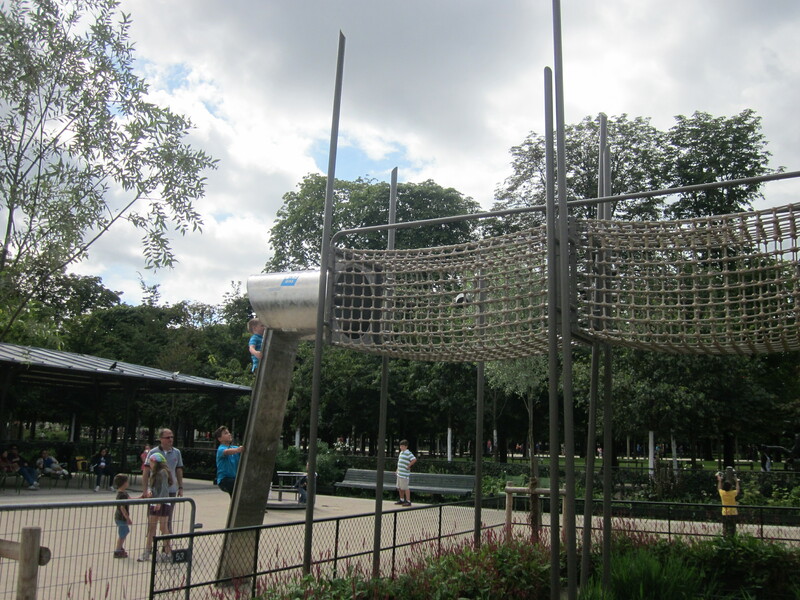 Plus, Paris has an abundance of playgrounds that are really cool and very close to all the other “adult” attractions. As awesome as the Metro is for getting around, I now find walking and the bus much more enjoyable with the kids than the smelly underground that is constantly posing a risk to theft from pick pockets. While visiting, make sure to take the kids to the playground on the side and back of the Notre Dame (get wiggles out before you visit the cathedral or as a bribe for good behavior after the tour). Spend your lunch in the Tuileries at the large playground in the middle of the park next to the carousel. Then take the kids to the Lourve after they’ve had some fun running around. For parents that are nervous about art museums and kids, try going on a Wednesday or Friday night if your little ones will sleep in a stroller, the museum is open until 9:45 p.m. on these nights. The Jardin du Luxembourg and the Jardin des Plantes are also favorites of ours with enough to keep both adults and kids entertained for days. Playground in the Tuileries. Paris, France. 3. London, U.K. How can you not love London, except for the perhaps the prices?! We had so much fun on our first trip there with our kids that we ended up extending the holiday an extra 2 days! An entire day can be spend just roaming Hyde park. Its 3 major playgrounds are wonderful stops in between wandering rose gardens and memorials. The favorite was the Peter Pan themed, Diana Memorial Playground next to Kensington Palace. No wonder Prince William and Princess Kate decided to make Kensington their family home. While we didn’t take our kids to the Tower of London or Windsor on our family trip, we’ve always had success with castles and kids so a trip to these sights would be worth it for the whole family. After you’ve watched the changing of the guard at Buckingham Palace, walk through St. Jame’s Park where there is a small playground as well as an abundance of different types of birds walking around, you’ll then end up at the Horse Guard Parade next to the British Cabinet offices and the famous 10 Downing Street. After watching the horse changing of the guard it’s a quick walk over to the beautiful Westminster Abbey and Big Ben at the Parliament Building. 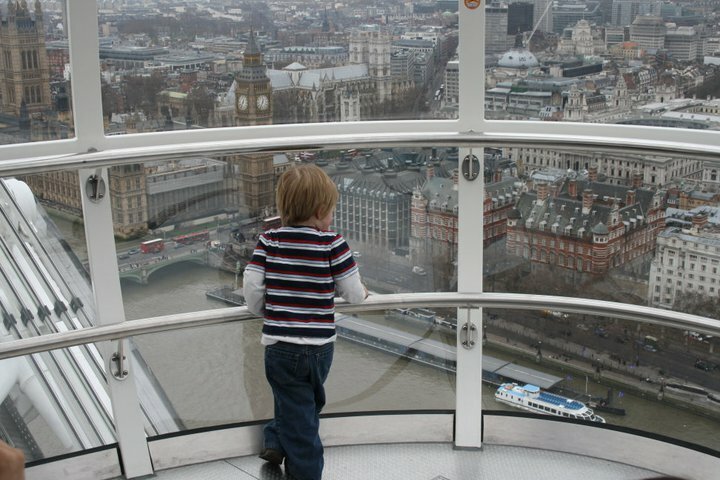 A ride on the London Eye is well worth the wait and the money. We did it with a 3 and 1 year old. There is also a wonderful playground across from the London Eye. Use these different playground stops to get get rid of some energy in between some of the more formal sights and museums that “mum” and dad want to enjoy. View from the London Eye. 4. Munich, Germany. I may be a little bias to Munich because I actually lived there for 2 years, but I think most tourists who have visited the city with kids would agree that it’s a gem for families. Munich in general is a very clean and safe city with an excellent public transportation system. Beyond the traditional tourist attractions mentioned in guidebooks, a few things make Munich stand out as a fabulous family destination. Beirgartens with playgrounds! Yes, you can bring your children to the “bar” so to say. Munich is full of wonderful biergartens that serve traditional Bavarian food and the all famous Mass of beer. Outdoor seating is first come first serve and, besides being able to bring your kids to play on the playground while you have a “cold one”, you can also bring your own food! You must purchase your drinks there, but while food is available for purchase, it is perfectly acceptable to bring your own picnic lunch to eat at the beer garden while enjoying a nice Helles or an Apfelschoeler for the kids. We spent most of our beirgarten hours at Hofbräukeller (not to be confused with the Hofbräuhaus) and The Chinese Tower in the English Garden due to the proximity to our home. 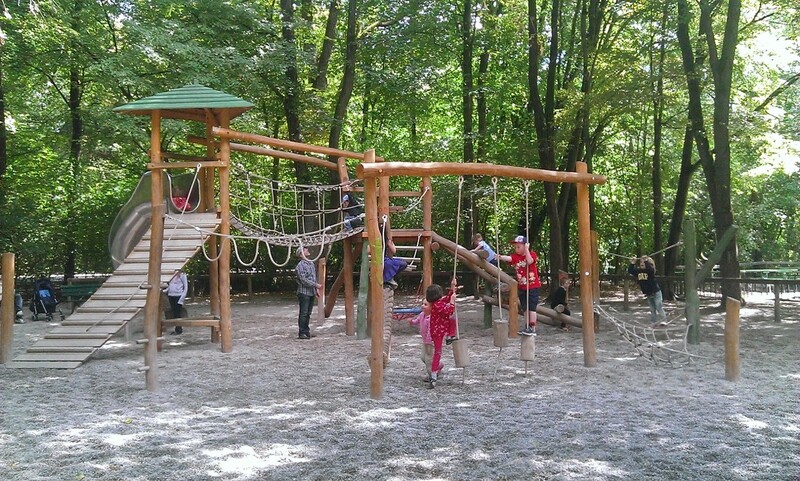 However, the Hirchaugarten on the other side of the city is also extremely popular for families. Additionally, Munich has several restaurants that will offer an indoor play area for kids and often includes child care workers to watch them while parents enjoy their meal. It’s typical to tip the workers 1-2 Euros per child for this service. Brenner Grill is a great Sunday brunch spot with this service. And since it is right next to the Residence (city palace), you can feed them and let them play before taking a tour inside the palace. Munich has several world-class art museums for adults as well as the famous Deutsches Museum that is a hit for the whole family! All these attractions have playgrounds nearby. And no one can mention Munich without emphasising the Englischer Garten. Spend the day there for loads of fun with the whole family! You’ll also find numerous activities at the Olympia Park where the 1976 Olympics were held. You’ll find activities such as putt-putt (mini-golf), ice skating (indoors), boat rentals for the little lake in the summer and the BMW Museum (BMW Welt). Plus lots of green park to explore! This city is definitely one of the most relaxed urban environments in Europe! 5. Vienna, Austria. Austria continues to be one of our favorite countries in Europe overall. We took a trip to Vienna in November and then again in December for Christmas. To even our own surprise, we did the most “adult” things on our visits with our boys (ages 3 and 4 1/2 at the time) and yet they still had a blast. We visited the fewest number of playgrounds; I am pretty sure we only went to one the whole time. Yet even their young eyes were fascinated by the glittering gold and paintings in St. Peter’s Church. We took them to the Albertina and Belvedere Art Museum and had fun asking the boys to tell us what they saw in each painting. At the Schloss Schönbrunn, you can tour the remarkable grounds of the palace and the imperial apartments, and then let the kids get a taste of what it was like to be a royal child in the children’s museum. This offers a whole wing of the palace dedicated to hands on child-centered museum activities and dress up. While we visited the palace at Christmas, we got to experience the Christmas market that featured extra craft huts for kids and games in the market center. The most memorable experience for me was taking our boys to a classical music concert in the very room where Mozart performed for his first time in front of the Empress Maria Theresia at The Auersperg Palace. It was too cute seeing them listening and watching the music and some dancers and then occasionally pretend to be the conductor with their arms. While we did not see the performance of the Spanish Riding school, it was a big regret and it is highly recommended by other travelers. Also recommended by others but missed by us is spending the day in the Prater. We did sneak in a tour of the Hofburg (main palace), though. Overall, half the fun was just walking through the beautiful streets of Vienna and letting the kids see the horse drawn carriages and delightful cake and pastry shops, and of course sampling a few! 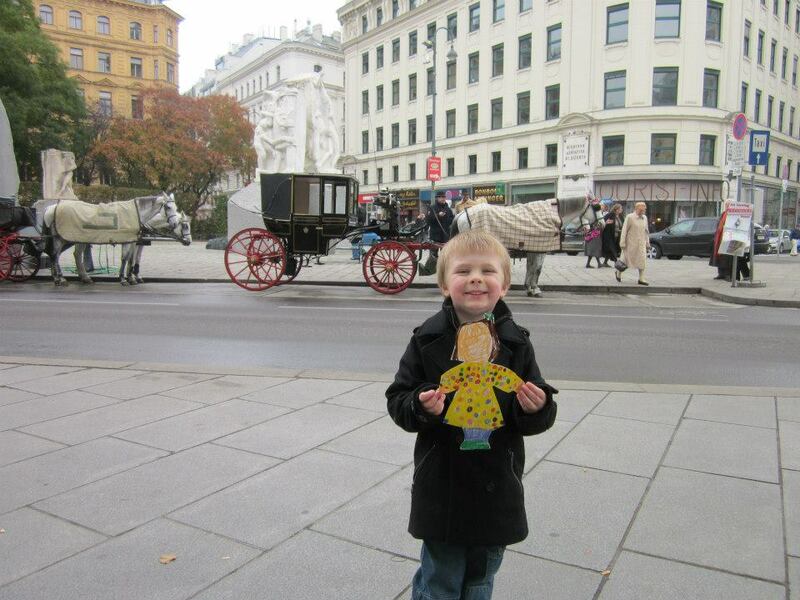 Sharing Vienna with other children via the Flat Stanley/Flat Sarah project. Clearly there are more things to do in each of these cities than we were able to fit in. However, the experiences left a lasting impression on our whole family and we found it quite easy to see many of the sights one wouldn’t normally think to take children to. Europe in general is a great place for children, and it was quite difficult to narrow it down to 5 favorites to highlight. Some other cities in the running were Edinbourgh, Scotland; Brussels, Belgium; The Hague, The Netherlands, Berlin, Germany and Valencia and Barcelona in Spain. Keep checking back for more posts on our trips to each of these cities!